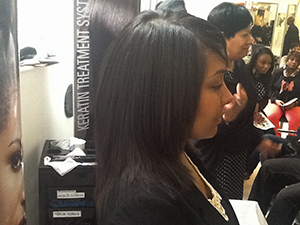 We recently went to the launch of Lusters You Pro Keratin Treatment System on 17th March 2013 at Reflections Training Academy. TZ staff had a great day and found out so much about Keratin Treatment which is a non chemical product that takes away the frizziness and coats your hair with keratin leaving the hair more manageable and promotes healthy hair growth. For more info please contact us or post your comments as we know there’s are a lot of questions being asked about Keratin Treatments at the moment.